The few inches of water coming over the top of Grand Coulee Dam the last few days is about to turn into several feet of water. By about 5:30 p.m. tonight (Thursday), the Bureau of Reclamation expects to be spilling about 60,000 cubic feet per second. Earlier today it was spilling about 15,000; the photo in this week’s Star pictures a spill of less than one third that amount. This would be a good time for photos. Let’s see, that would be about 10,000 bathtubs a second! 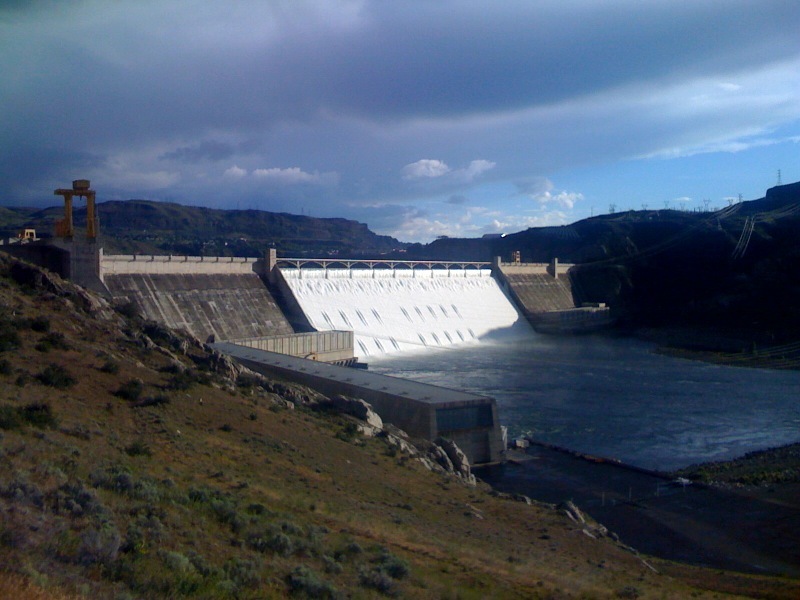 It’s truly an awesome sight when mire than 4,300 cubic feet of water per second flow over the top of Grand Coulee Dam.